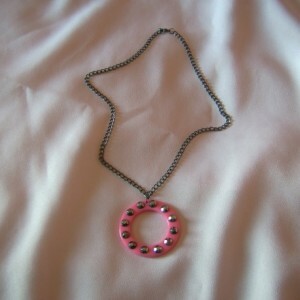 Pink bubble gum colored pendant with gun metal colored faux rhinestones set around it. The attached chain is gun metal style and measures 19.5 inches with a lobster clasp closure. 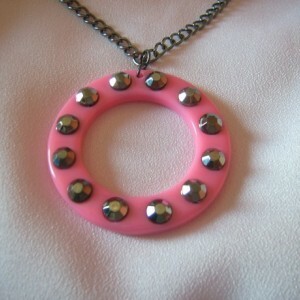 The pendant is made of fashion plastic. This is a great piece for any age who loves fun fashions. 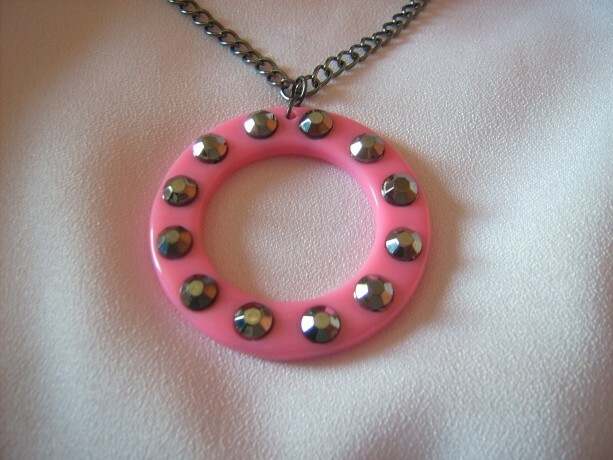 This a the necklace Barbie would wear if she went with a little edgy side. 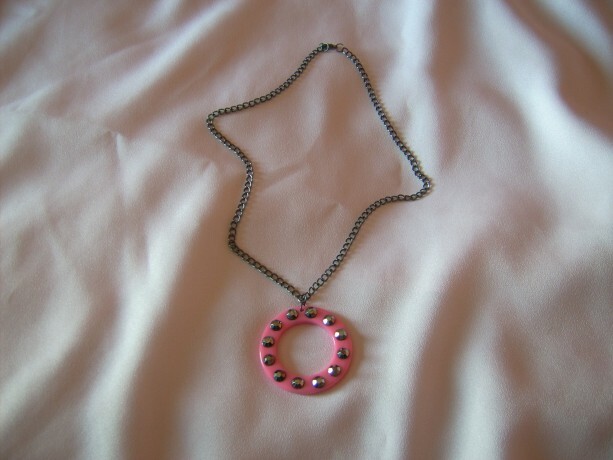 A dark necklace with a touch of pop and bling.